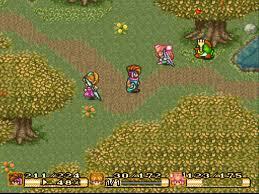 Secret of Mana, originally released in Japan as Seiken Densetsu 2 (聖剣伝説2?, lit. "Legend of the Sacred Sword 2"), is a 1993 action role-playing game developed and published by Square (now Square Enix) for the SNES. 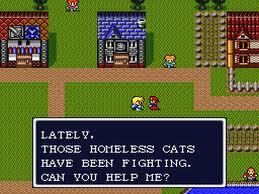 It is the sequel to the 1991 game Seiken Densetsu, released in North America as Final Fantasy Adventure and Europe as Mystic Quest, and its release marked the transition of the Seiken Densetsu series's marketing from a thinly-related spinoff of the Final Fantasy series to the wholly separate Mana series. 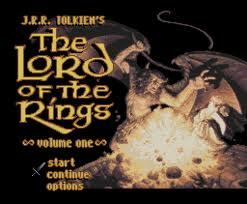 Set in a fantasy world, the game follows three heroes as they attempt first to restore the legendary Mana Sword, then to prevent the Empire from releasing the Mana Fortress, and finally to prevent the ancient sorcerer Thanatos from destroying the Mana Tree and taking control of the world's magic. Seiken Densetsu 3 (聖剣伝説3?, lit. "Legend of the Sacred Sword 3") is a 1995 action role-playing game developed and published by Square (now Square Enix) for the Super Nintendo Entertainment System. It is the sequel to the 1993 game Seiken Densetsu 2 (released outside Japan as Secret of Mana), and is the third game in the Mana series. Set in a fantasy world, the game follows three heroes as they attempt to claim the legendary Mana Sword and prevent the Mana Beasts from being unleashed and destroying the world. The game features three lengthy main plotlines and six different possible main characters, each with their own storylines, and allows two players to play simultaneously. The game builds on the gameplay of its predecessor with multiple enhancements, including the use of a time progression system, with transitions from day to night and weekday to weekday in game time, and a wide range of character classes to choose from, which provides each character with an exclusive set of skills and status progression.The game was designed by series creator Koichi Ishii, directed by veteran Square designer Hiromichi Tanaka, and produced by Tetsuhisa Tsuruzono. 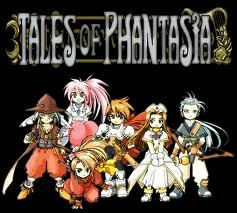 Artwork for the game was produced by manga and anime artist Nobuteru Yūki, while the game's music was composed by Secret of Mana composer Hiroki Kikuta. Although the game was only published in Japan, Western players have been able to play Seiken Densetsu 3 thanks to an unofficial English fan translation, first released in 2000. The game received considerable acclaim from reviewers, who praised the graphics as among the best ever made for the Super Nintendo and the gameplay as an improved version of its predecessor's. The plot received mixed reviews by critics who found the overlapping stories to be interesting and enhance replayability, but the characters and plotlines themselves to be flat and clichéd. 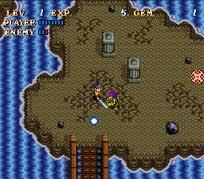 Overall, the game is considered to be a Super Nintendo classic and one of the best role-playing games of the 16-bit era. Secret of the Stars, known as Aqutallion (アクタリオン?) in Japan, is role-playing video game released in 1993 and developed and published by Tecmo for the Super Nintendo Entertainment System. Shadowrun is a cyberpunk-fantasy action role-playing video game for the Super Nintendo Entertainment System (SNES), adapted from the tabletop role-playing game Shadowrun by FASA. The video game was developed by Australian company Beam Software and first released in 1993 by Data East.The game is loosely based on the novel Never Deal with a Dragon by Shadowrun co-creator Robert N. Charrette and set in the year 2050. The player takes on the role of Jake Armitage, a man suffering from amnesia after having been critically wounded by assassins. The plot then follows Jake as he attempts to uncover his own identity and the identity of the mysterious figure who wants him dead, and eventually complete his mission. Harebrained Schemes' 2013 Shadowrun Returns links the stories of this game and of Shadowrun for the Sega Genesis.A project to adapt Shadowrun for the SNES had a turbulent history between 1989 and 1993, including having been halted in mid-development before being resumed in late 1992 under a tight deadline. Its eventual lead designer was Paul Kidd, creator of Beam Software's 1992 Nightshade, elements and a feel of which he then carried on to Shadowrun. The game was a critical success, winning a number of industry awards, but was a commercial failure nevertheless. It was retrospectively acclaimed by several publications as an "ahead of its time" milestone in the history of the role-playing genre for the consoles and credited for having pioneered film noir style in video games. Shin Megami Tensei II (Japanese: 真・女神転生II, Hepburn: Shin Megami Tensei Tsū?) 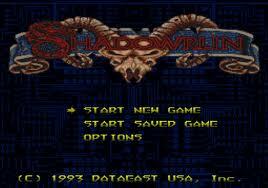 is a video game and direct sequel to Shin Megami Tensei for the Super Famicom released on March 18, 1994 in Japan. 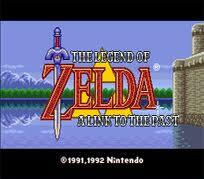 It was later remade for PlayStation in 2002, and then for Game Boy Advance in 2003. 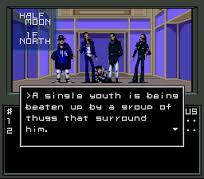 It is a role-playing video game and part of the Megami Tensei series. 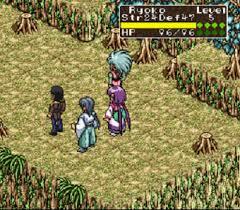 Similar to most games in the series, the player is able to persuade demons to join the main characters battle party.The game was only released in Japanese, although unofficial fan translations to English exist. Slayers (スレイヤーズ, Sureiyāzu?) is a Japanese comic fantasy media franchise originating in a series of over 52 light novels written by Hajime Kanzaka and illustrated by Rui Araizumi. The novels had been serialized in Dragon Magazine, and were later adapted into several manga titles, televised anime series, anime films, OVA series, role-playing video games, and other media. 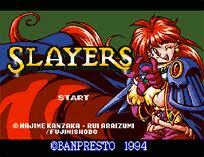 Slayers follows the adventures of teenage sorceress Lina Inverse and her companions as they journey through their world. Using powerful magic and swordsmanship they battle overreaching wizards, demons seeking to destroy the world, and an occasional hapless gang of bandits. The anime series is considered to be one of the most popular of the 1990s. Soul Blazer, known in Japan as Soul Blader (ソウルブレイダー, Sōru Bureidā? ), is a Super Nintendo Entertainment System action role-playing game developed by Quintet and published by Enix (now Square Enix). Soul Blazer was released on January 31, 1992 in Japan, on November 27, 1992 in North America, and on January 27, 1994 in Europe. Similar to the company's previous game ActRaiser, the player takes the role of a divine angel, deity or lesser-deity, or avatar, sent by a divinity, called The Master, to destroy monsters and release the captured souls of a world's inhabitants. Soul Blazer was scored by Yukihide Takekawa. 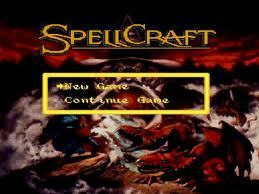 Spellcraft: Aspects of Valor is a strategy game by the relatively unknown developer, Asciisoft. Star Ocean (スターオーシャン Sutā Ōshan) is an action role-playing video game developed by tri-Ace and published by Enix for the Super Famicom. 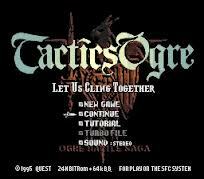 The first game in the Star Ocean series, it was released only in Japan in July 1996, and was the first game developed by tri-Ace, consisting of staff that had previously left Wolf Team due to being unhappy with the development process for Tales of Phantasia with Namco in 1995. The game required a special compression chip in its cartridge to compress and store all of the game's data due to possessing graphics that pushed the limits of the aging Super Famicom. Additionally, the game had voice acting for the game's intro and voice clips that played during the game's battle gameplay, a rarity for games on the system.The story involves three friends who, while searching for the cure to a new disease, come into contact with a space-faring federation that is locked in a war with another galactic power. Using advanced technologies and time travel, the group attempts to uncover the cause of the war and to find a cure for their planet. The Super Famicom version was never released outside Japan due to Enix closing its American branch shortly before the game was finished, as well as Nintendo's focus on supporting the then-upcoming Nintendo 64 video game console. However, the game was later remade by Tose for the PlayStation Portable under the title Star Ocean: First Departure, and released in English-speaking regions in North America, Europe, and Australia in October 2008. The game was the start of the entire Star Ocean series, featuring five games, two remakes, and a manga comic. 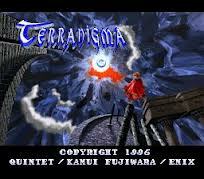 Terranigma, known as Tenchi Sōzō (天地創造?, officially translated The Creation of Heaven and Earth) in Japan, is a 1995 action role-playing game for the Super Nintendo Entertainment System developed by Quintet. Manga artist Kamui Fujiwara is credited with the character designs. It was published by Enix (now Square Enix) in Japan before Nintendo localized the game and released English, German, French and Spanish versions in Europe and Australia. The game has never been officially released in North America. Terranigma tells the story of the Earth's resurrection by the hands of a boy named Ark, and its progress from the evolution of life to the present day. J.R.R. Tolkien's The Lord of the Rings, Vol. I is the name of a video game published by Interplay Productions for the Super Nintendo. It is an adaptation of The Fellowship of the Ring by J. R. R. Tolkien. 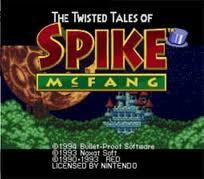 The Twisted Tales of Spike McFang (Japanese: 超魔界大戦！どらぼっちゃん Hepburn: Chō Makai Taisen! Dorabotchan?, lit. "Ultra Demon World War! Little Dorabo"), is an action role-playing video game which was released for the Super Nintendo Entertainment System (SNES), developed by Bullet Proof Software and Red Company, and published by Naxat Soft. It was published by Bullet-Proof Software in North America. The game is the sequel to the TurboGrafx-16 game Makai Prince Dorabotchan, which was only released in Japan. Torneko no Daibōken: Fushigi no Dungeon (トルネコの大冒険 不思議のダンジョン Torneko's Great Adventure: Mystery Dungeon?) is the first game in the Mystery Dungeon series. 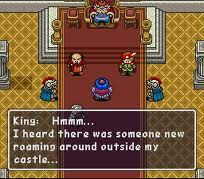 This installment features Torneko (or Taloon, as he was known in North America), the merchant from Dragon Warrior IV. 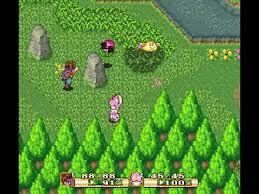 The game involves Torneko adventuring around in the "Mystery Dungeon" in search of items.